Camrose, Alberta – Agrico Canada is pleased to announce the formalization of a binding agreement to acquire 50% interest in Crop Management Network. Crop Management Network was established in 2007. This transaction, completed on November 3, 2017, is effective as of today. “Agrico is very committed to the joint venture strategy and the company’s expansion in the West. We see great synergy and growth opportunities in this new business relation. Our vision and goals are really in tune with those of Crop Management Network’s, a company that’s been devoted to its mission for the past 10 years: to strive to make the local grower successful with high quality inputs, services and solutions,” stated Bill Wilford, General Manager at Agrico. Despite the status change, the business structure, people, vision and customer service that clients have come to know and trust in Crop Management Network will remain intact, and the team’s dedication to servicing the customers of Crop Management Network will not change. Usual contacts, brands and company names will also remain unchanged. As such, James Mitchell, CEO of Crop Management Network will stay on and continue to manage the business. Furthermore, Agrico’s joint venture strategy – with its focus on local ownership – will ensure the stability and continuity of the business, for both Crop Management Network’s employees and customers. Agrico wants all its clients and employees to know that it is business as usual and that it will continue to provide their customers with the best products and services. A company built on unparalleled service and quality, Agrico Canada has, over the last century, proudly become a leading wholesale distributor of crop input products. Agri-retailers across Canada and the United States have come to rely on Agrico for market-leading dry and liquid fertilizers. A wholly-owned subsidiary of La Coop fédérée, Agrico Canada is committed to the highest standard of service for customers, employees, local communities, and the agricultural industry alike. Agrico Canada is focused on the future to develop and grow the business in Western Canada and beyond. 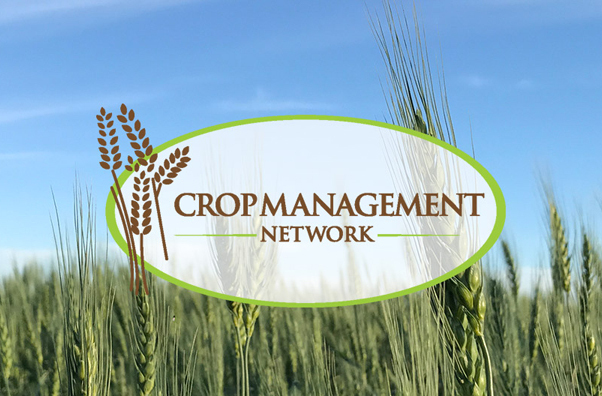 The Crop Management Network consists of locally owned retailers with locations in Edberg, Daysland, Vegreville, Fort Saskatchewan and Holden, and now Camrose in the fall of 2017 and operating an integrated logistics company. Located in Central Alberta, CMN is the largest independent retail network in the province and it strives to make the local grower successful with high quality inputs, services and solutions.